Conceived by producer Edwin Lester, president of the Los Angeles Civic Light Opera Association, with a book by Homer Curran and Frederick Hazlitt Brennan, and lyrics by the team of Wright and Forrest (Song of Norway, 1944; Kismet, 1953), the show has been somewhat inaccurately described as a south of the border rip-off of Franz Lehár’s The Merry Widow or, to be precise, a Viennese operetta without the schmaltz. 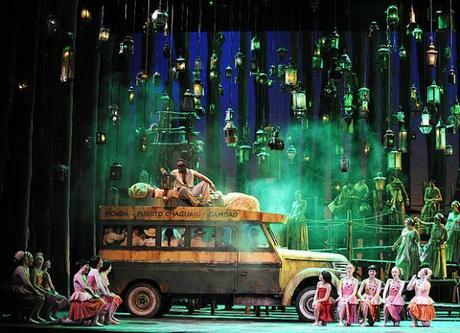 Donal Henahan, former music critic for the New York Times, summarized the action of the musical in typically dry fashion: “Magdalena is about the contrast between the goodness and religious fervor of exploited Colombia jungle people and the epicurean decadence of civilization, epitomized by Paris.” Voilá! What transpired next is a textbook example of placing the American cart before the Brazilian horse. Forrest and Wright worked out their “dream cast” with Curran, which included some of Broadway’s most illustrious personalities. No sooner had this been settled when publicity for the venture started to mount. 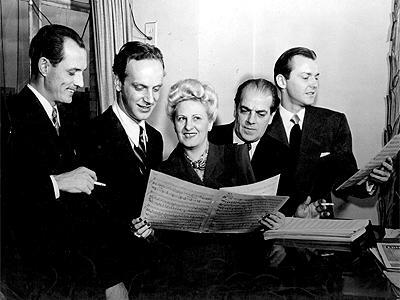 To take their dream to the next level, the lyricists made plans to go to Brazil and meet with Villa-Lobos personally. 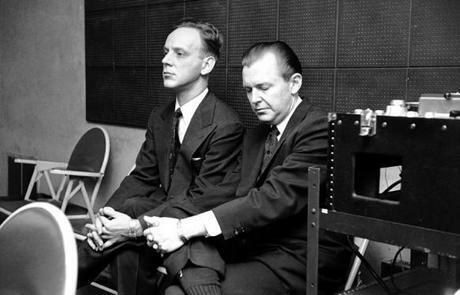 After flight cancellations and several aborted attempts at a takeoff, the frustrated pair got as far as San Juan, Puerto Rico, where they cabled Villa-Lobos to inform him of their inability to secure safe passage to Rio. A short while later, Villa cabled back, indicating that he and his wife Arminda, along with his accompanist-interpreter José Brandão, would be coming to New York instead. Another stroke of luck! Despite the air of camaraderie present throughout its composition, Magdalena came at an especially trying time for the composer, who was diagnosed shortly thereafter, in Rio, with “inoperable, terminal cancer” of the bladder. Fortunately for all concerned, Villa-Lobos was flown to New York and immediately hospitalized at Memorial Hospital, supposedly on the same night (September 20, 1948) as the Manhattan premiere at the Ziegfeld Theatre. Other sources maintain the operation took place the day before the Los Angeles premiere two months earlier. Nevertheless, all were in agreement that a simultaneous musician’s strike was called prior to the New York opening, which crippled plans to broadcast radio excerpts and record the original-cast album, de rigueur for shows back then. Fortunately, both Villa and “Mindinha” eventually attended a performance of their “musical adventure” just as the show was about to close. According to reports, the couple was thrilled with the results. 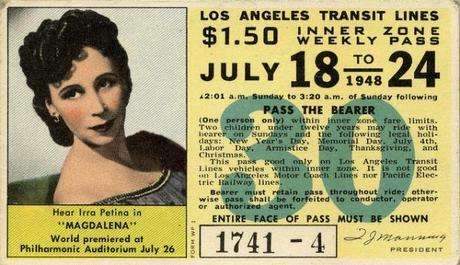 The wonderful lineup of stars assembled for the run included Metropolitan Opera diva Irra Petina as Teresa, bass Gerhard Pechner as Padre José, singer-actor John Raitt (of Carousel fame) as Pedro, soprano Dorothy Sarnoff as Maria, Czech actor-director Hugo Haas as General Carabaña, John Schickling as Zoggie, and Ferdinand Hilt as Major Blanco. American movie producer Jules Dassin directed the work for the stage, and choreographer Jack Cole handled the dance portions. 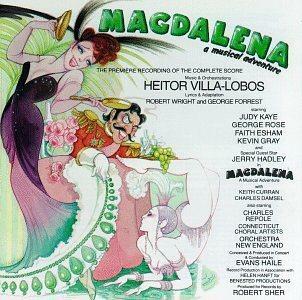 If you listen closely to “Food for Thought,” that deliciously catchy number from the Paris sequence of Act I, you can hear the rhythmic strains (in a minor key, of course) of the “Habañera” from Bizet’s Carmen. So, was Villa-Lobos impressed with what Forrest and Wright had done with his music, or not? If he hadn’t liked their handiwork, then why didn’t he express his outrage at the time? If he had liked it, why did he complain about it later on, and to a third party uninvolved in its creation? It may have been partially out of courtesy that the worldly Villa, a man accustomed to the best the musical world had to offer, decided not to offend his colleagues’ sensibilities to their faces — a typically selfless Brazilian gesture, I can assure you. He certainly had the warmest feelings for his working partners, deservedly so. Besides, an individual’s views about a work can understandably change over time. But with Villa, they were in a constant state of flux. All we are left with is the finished product, which can speak for itself. For all intents and purposes, Heitor Villa-Lobos’ “musical adventure in two acts” remains a “curiosity” and comparatively unknown, even in its native Brazil.